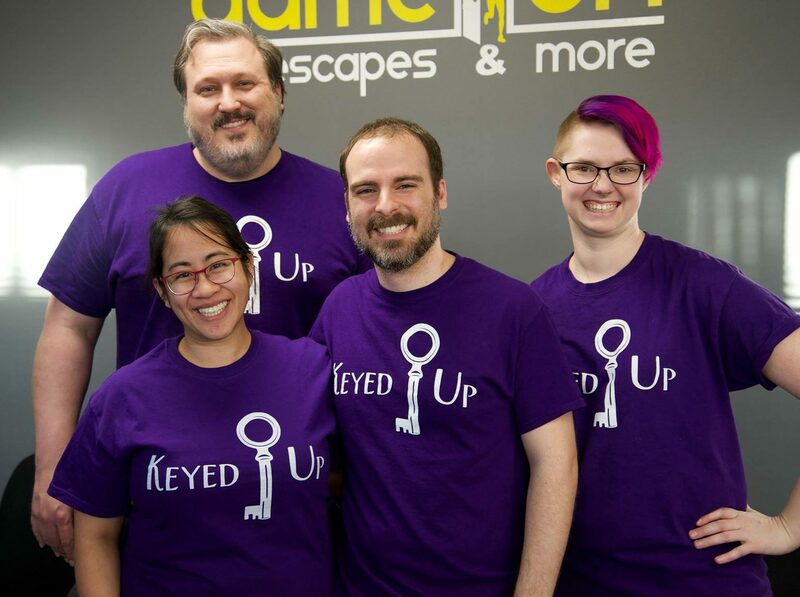 This was our 15th room on a 17 room birthday escape extravaganza, so I had actually forgotten that we were given no clues as to what the theme of the room was until we were just about to start our adventure, which made that segment of the game that much cooler. Our GM came in an explained the mission to us, gave us what we needed to complete it, and sent us on our merry way! I’ll just say I was surprised but very intrigued by what we were getting ready to do! One thing I can say without spoiling anything is that Classified works off of a point system, and even though we were able to obtain the full run of points and make the leaderboard, it was a tough but highly rewarding experience! Though challenging, the room flows extremely well, and the puzzles and connections made between them are intuitive, requiring no logical leaps or mind reading to complete. The experience itself is also layered in ways we were not expecting, allowing the room to open up as we progressed, but doing so in a manner we had never seen before. The masterful use of space added an excellent level of required teamwork to the game that lasted the entire experience. In fact, through this team focused game design, there was never a dull moment for any of us; we kept engaged and immersed for the whole mission! Our Game Master was an integral part of the experience, giving story beats and popping in to be generally hilarious from time to time, and the way he interacted with our group was top notch. All of our experiences with GMs at Escape Artist were awesome, but our adventure through Classified was made even more amazing through his efforts. The puzzles themselves are highly varied, and allow for some great tactile challenges, many of which we’d not seen before in other escape rooms. In fact, this game held some of the most highly original designs we saw on our weekend trip, making this easily one of, if not the, top games we played during this outing! We had to take a picture because we did all of these rooms on the last day of September! Oh, our fleeting leaderboard glory! We aren’t the biggest fans of process puzzles, (puzzles in which you devise a method of solving and must then enact the method,) and there’s a huge one we spent a large chunk of time on in Classified. Running through the steps over and over began to become frustrating, and though we knew how to solve the puzzle, hitting all those steps just wasn’t interesting overall. However, that’s just one puzzle of many within this excellent room! Save for one section of Classified, this room is flawless! With an amazing flow, great storyline, and excellent variations on the usual escape room theme, Classified is one of my favorite rooms in South Carolina. I’d expect players would like to have a room or two under their belts before booking Classified, as it is a challenging experience requiring excellent teamwork, but I highly recommend checking it out if you’re in the area. And if you need some recommendations on that first room to get warmed up, why not try out Dr. Fratelli’s Cabin, also at Escape Artist? Book your top secret mission here! Full Disclosure: Escape Artist Greenville provided media discounted tickets for our team.